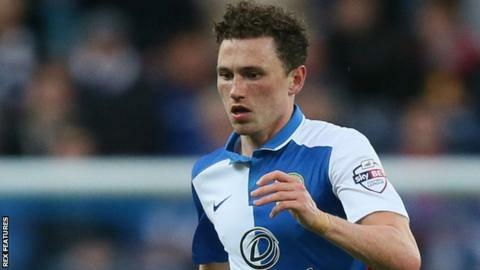 Midfielder Corry Evans has signed a new contract at Blackburn Rovers, tying him to the club until 2019. The 25-year-old Northern Ireland international moved to Rovers from Hull City for an undisclosed fee in 2013. Evans, who came through the academy at Manchester United, is the younger brother of West Brom defender Jonny. "I'm delighted to get it signed and I'm looking forward to playing here for the next three-and-a-half years," he told the club website. "From the first minute I walked through the door, I've thoroughly enjoyed my time and I'm looking forward to the future." Evans made his international debut against Italy in 2009 and has won 31 caps so far.